In about two months my contract at my current job will be up & I will be on the hunt for the next venture in my career. While I have no idea what that may be, I have been day dreaming of working for myself and creating a desk of stylish goodies. 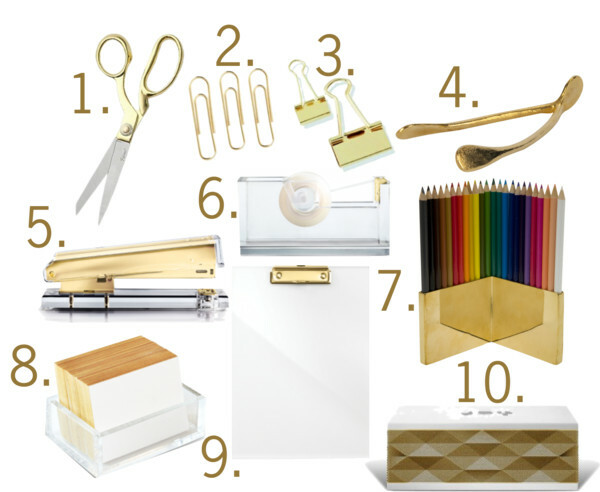 One trend that keeps standing out is metallic gold desk accessories. It seems everything that is gilded in this shiny hue is suddenly more desirable then it's silver counterparts. 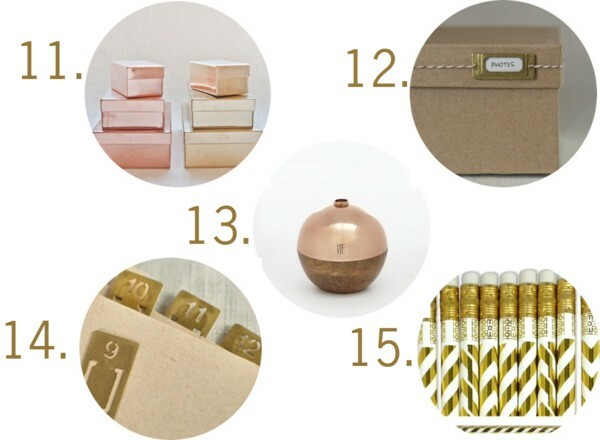 Check out some of my favorite items below. this is hysterical - in about two months i'll be working from home on my own for the very first time and i've pinned or saved basically every item on this list for my future home office! great minds, heidi! excited to hear what you end up doing!